Pegi Vail (Director/Producer) is an anthropologist and Associate Director of the Center for Media, Culture, and History at NYU. 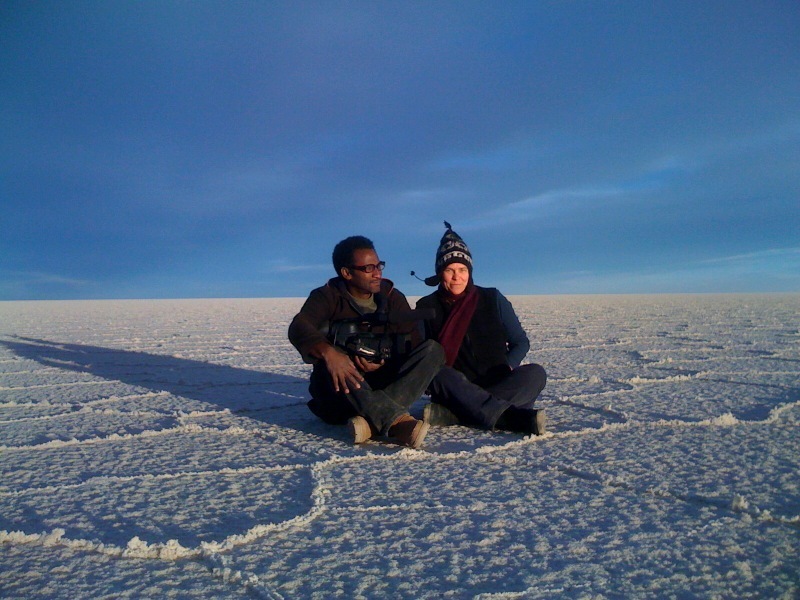 She teaches at NYU and Columbia University on Film, Culture, and Tourism. Her book, Right of Passage, based on her research among backpackers in Bolivia as a Fulbright scholar, is forthcoming (Duke University Press). Vail has additionally served as lecturer for Columbia Alumni Travel Study Tours, National Geographic and Soros Open Society. As a curator, she has collaborated with organizations such as the Museum of the American Indian, American Museum of Natural History, Museum of Modern Art (MoMA), and The Moth, the storytelling collective she was a founding board member of. Vail currently serves on the Moth’s General Council and Curatorial Committee. She directed the award-winning short documentary, The Dodger’s Sym-phony. Gringo Trails is her first feature-length documentary. Melvin Estrella (Director of Photography/Producer) has worked in numerous capacities within the independent film arena as well as within commercial, television, and non-profit production. Clients have included ESPN (It’s the Shoes), Filmlance Sweden (The Last Contract), Daniel Fridell (Beneath the Surface), Galavision, 3rd Edge Communications, Hock Films, House Films, Make a Wish, and TV-One. Melvin shot and produced the documentary, The Dodgers Sym-Phony and is the director of photography on the documentary-in-progress Wall Street in the Black. His short film Firebird premiered at Jazz at Lincoln Center during the New York Indian Film Festival. He serves on the curatorial committee for The Moth. Heidi Schlatter (Editor) is an Emmy Award winning film and television editor living in New York. She has edited numerous documentary shorts and programming for PBS, NBC, CBS, Bravo, Discovery, and National Geographic networks, as well as the narrative short, Firebird. She has a degree in fine art from Rhode Island School of Design, and is represented by Schroeder, Romero and Shredder Gallery in New York City. 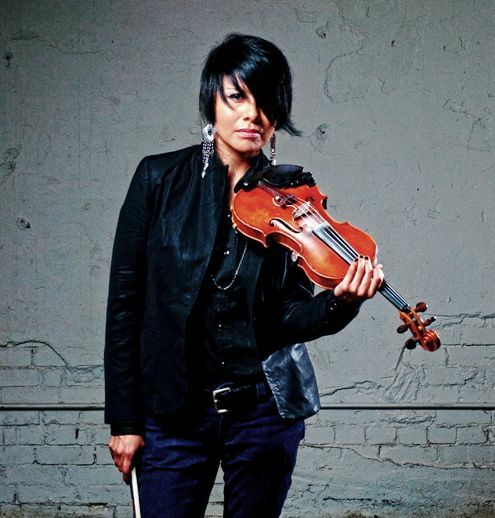 Laura Ortman (Composer/Musician) received the FIRST NATIONS COMPOSERS INITIATIVE Common Ground Award Grant for founding The Coast Orchestra, the all-Native American orchestra in 2008. They premiered to sold-out audiences at the National Gallery of Art in Washington, D.C. and opening night of the Margaret Mead Film & Video Festival in New York. She was a member of the acclaimed, genre-bending New York band STARS LIKE FLEAS, who has performed at Centre Pompidou (Paris) and MoMA (NYC) and has written and recorded two solo albums (recorded by Martin Bisi) playing violin, Apache violin, piano, electric guitar, samples, megaphone and organ. Her second solo album Someday We’ll Be Together was named one of RPM: Indigenous Music Culture’s “10 Most Influential Indigenous Album’s of 2011” and her video for I Lost My Shadow (dir. by Nanobah Becker, starring New York City Ballet’s Jock Soto) won “Best Music Video” at imagineNative 2011. Her first solo album Tens of Thousands was released on free103point9’s Transmission arts Dispatch Series. Ortman composed the score to the short film, Ok Breathe Auralee (dir: Brooke Swaney), which premiered at Sundance in 2012.